Older women drivers – those aged over 70 – are involved in fewer collisions than older men per driver, per year, but have a higher collision rate than older men per mile driven. For female drivers of all ages, a higher percentage of serious collisions occur during right turns across traffic or at T-junctions than is the case for male drivers. Studies of self-regulation find that older women are more likely than men to find some aspects of driving unpleasant and to try to avoid some situations. Women drive lower mileages than men, and research has shown that drivers with a mileage of less than 2,000 to 3,000 miles a year have a higher collision involvement rate per mile. This report – Gender Differences in the Behaviour of Older Drivers by Kit Mitchell – for the RACF Foundation uses National Travel Survey data for 2014–16 to show that older women drive less in darkness than do older men. The survey is also used to examine how activities influence the amount of driving women need to do, and how this is affected by their area of residence. 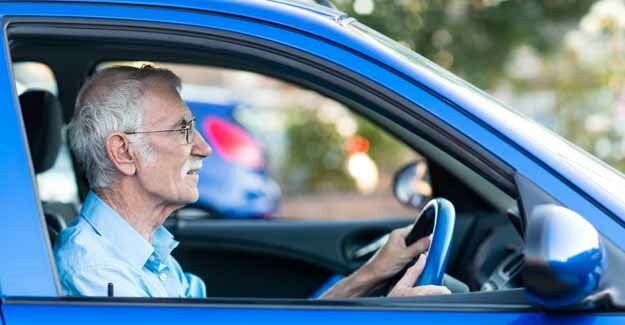 Reports of appraisals from the Hampshire County Council Driving Skills 60+ scheme are used to compare the risk events noted against older male and female drivers, with any associated comments. The outcomes of five years of Fitness to Drive assessments by the Wessex DriveAbility mobility centre show that of the participants aged over 70 women are more likely than men to be assessed as ‘unsafe’. The reasons for unsafe assessments for the women are likely to be impaired perception; for the men the reasons are impaired decision-making/judgement. Of the clients assessed as ‘unsafe – review’, almost half were assessed as ‘safe’ after a course of driving tuition.